The much-anticipated Border Gavaskar Trophy between India and Australia made its beginning in Adelaide. Australia won the toss and chose to bowl first. On the end of Day 1, India were 250 for nine at stumps. India’s rock solid No.3 Test batsman, Cheteswar Pujara struck a stubborn century scoring 123 runs. He stood ground and negated the raw pace of the Australian bowlers. Pujara lost his wicket to a brilliant piece of fielding with Pat Cummins throw dropping the bails with the batsman well short of the crease. The Indian team at one point were reeling at 86 for 5. 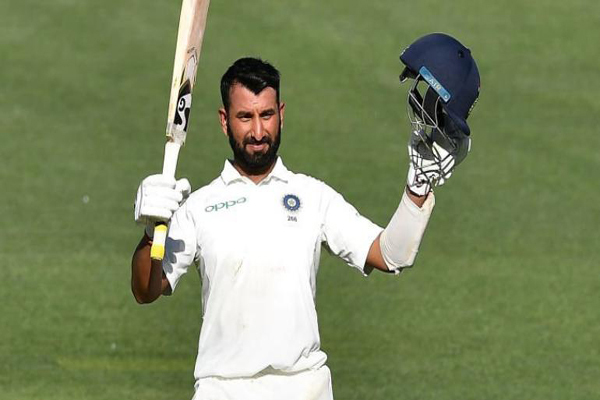 But Chetweswar Pujara rolled up his sleeves to anchor the innings.Wicketkeeper Rishab Pant and allrounder Ravichandran Ashwin contributed much needed partnerships with Pujara before making his hundred. In the process, Pujara completed 5000 runs and scored his 16th test hundred. Team Australia’s fast and furious pace attack snared India’s batsman one after another. In the morning session, India were at 41 for 4 with skipper Virat Kohli scoring 3 runs. The openers too couldn’t survive the pace assault much. Rahane fell to Hazlewood at 13.